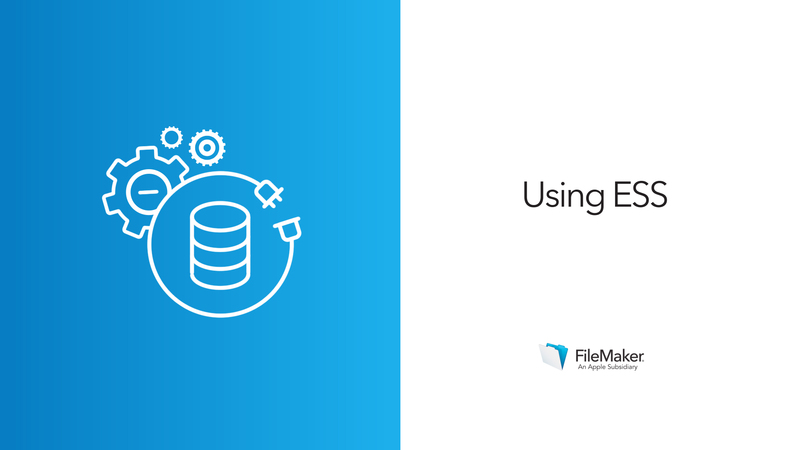 The FileMaker Platform allows for quick and easy connections to certain other databases that speak a common language: SQL. If your business already uses an app like this, you may be able to connect your custom FileMaker app directly to it using the technique called ESS, or External SQL Sources. 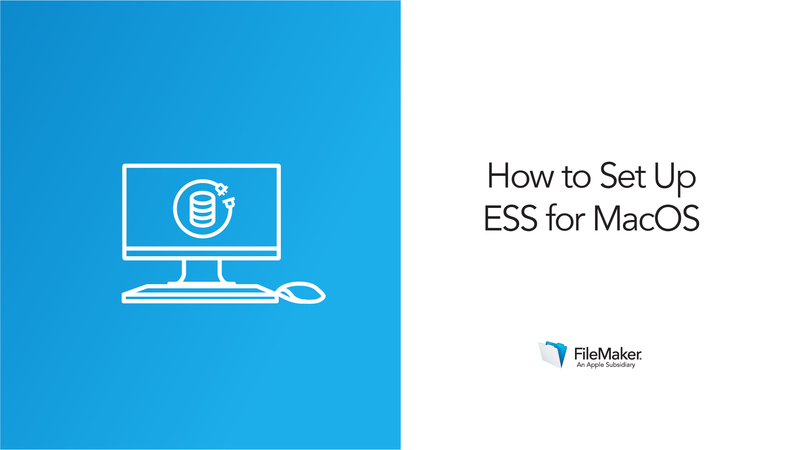 ESS allows a live connection to outside systems directly from your FileMaker app. 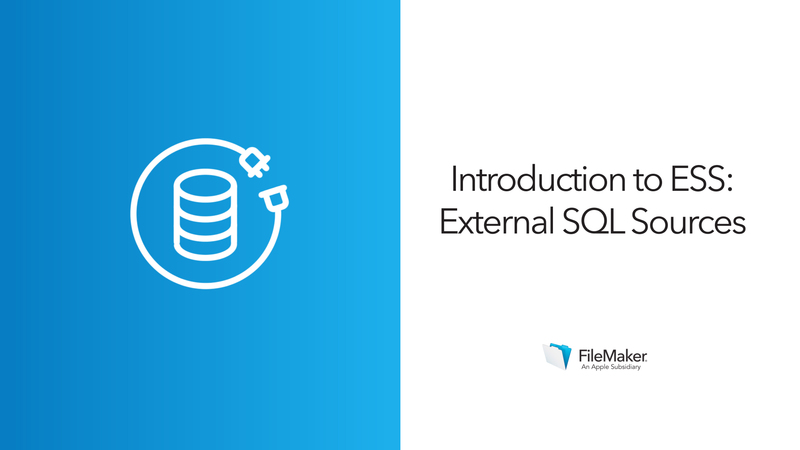 Unlike other integration techniques, ESS lets you use data tables from an external SQL source within your FileMaker app, just like native FileMaker tables. You can place ESS tables in your relationships graph, create relationships to them, and even create FileMaker layouts to display their data. Your users may need data from multiple apps, but you don't have to be a developer in multiple platforms. Apply your FileMaker skills to use SQL data in layouts, relationships, and even calculations specific to your custom app, so your users can see the data they need without shifting gears. 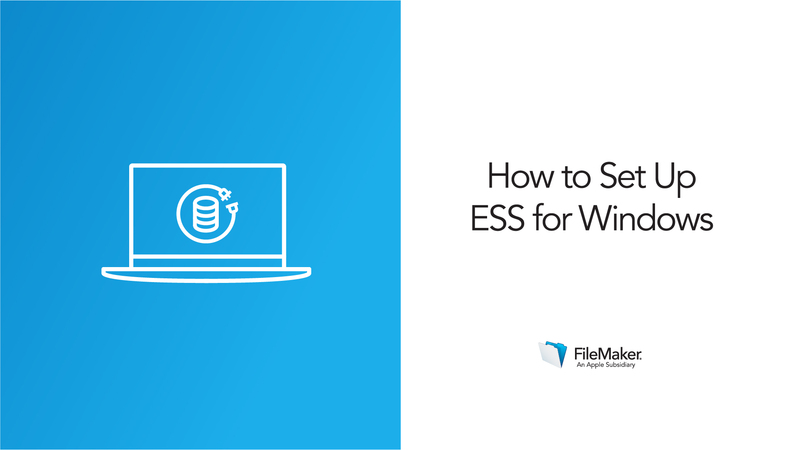 Learn more about what ESS is, how it works, and what you'll need to get going. There are a few components you’ll need to install to use ESS. If you’re hosting your file so multiple users can log in at once, you’ll install those components on the host machine. Follow this video to set up ESS on a Mac. There are a few components you’ll need to install to use ESS. If you’re hosting your file so multiple users can log in at once, you’ll install those components on the host machine. Follow this video to set up ESS on a Windows machine. See the details of how to use ESS tables and fields in your app. Learn the details of how the connection works, and how to make the most of it.